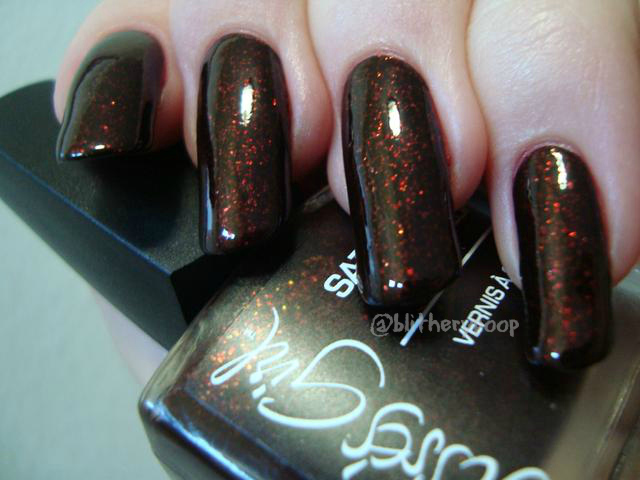 This is isn't my first Jesse's Girl polish, but it's the first that's gotten its own post the blog. 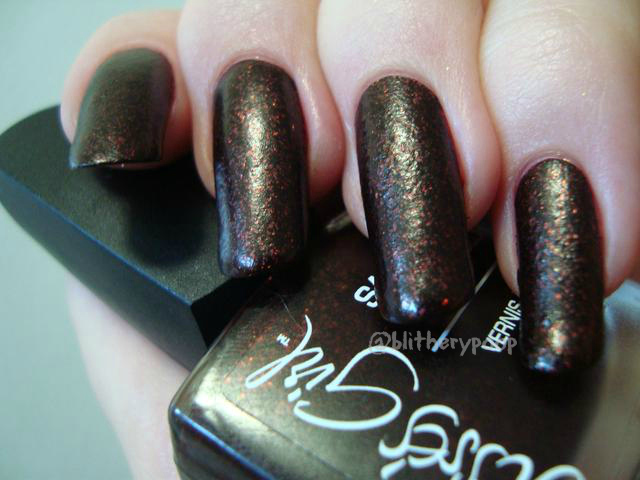 Cauldron is part of the first new limited edition collection this brand has had in the whole time that PGS has existed. 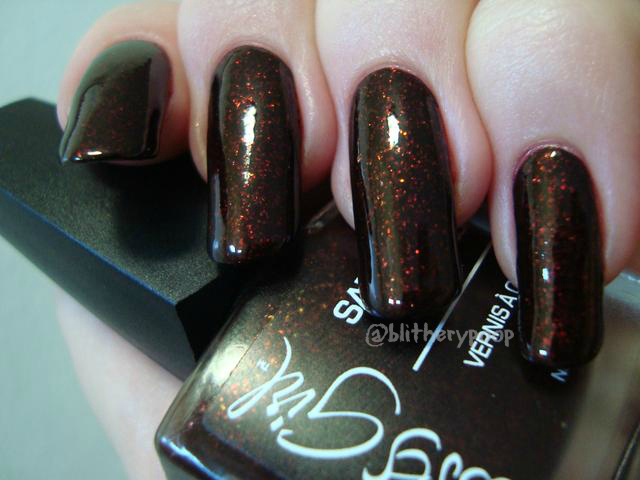 I wore Firefly back in the days when my cuticles were still a mess and we posted less in some months than we do in most weeks now. It's great to see a brand come out of such a deep lull...and with satins, no less! They also collaborated with Work Play Polish to create promo and display photos. If only more brands would do that! I tried to tell myself to wait for a sale on these at Rite Aid, but I caved and bought Cauldron the first time I found it. Rite Aid is the only store that's getting these, but they're also available on the Jesse's Girl website. 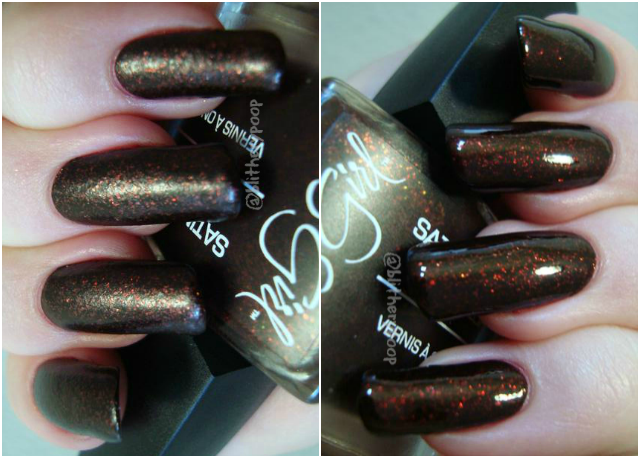 While all of the shades are appealingly autumnal, my pick should come as no surprise. Before I get down to my usual review for, I need to be frank about the formula. It's bad. Think sludge. The photos above are after thinning and topcoat. You need to see two very thick, challenging coats, warts and all. Ok, so it's a bubble, but it really looks like a wart, right? 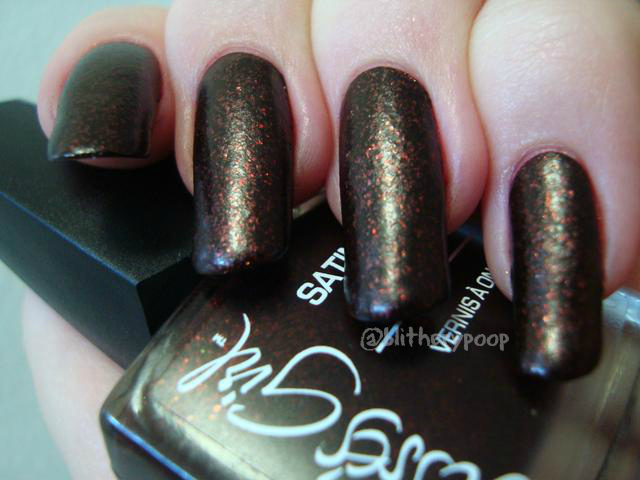 Cauldron has gold fleck shimmer in a deep red-brown jelly base and dries semi-matte. ...and then I topcoated it. It reminds me of both Sinful Colors Leather Loose and Revlon Italian Leather, though it's somewhere in-between the two and far from a dupe for either. It's got that same autumnal smolder that I love so much. Bottom line: If you're patient, the glossed-up look is beautiful, but it's challenging to apply and doesn't look very good as-is. I'm not sure if I'll be buying more from this collection. Have you tried Cauldron or any of the other Satin Finish shades? I was disappointed with the formula too :( The teal is slightly better but still very thick. You need to get Mentality's matte Tempest. Its super close in color to this but the formula is soooo much better. Its a one coater for me. They might still have them for 4.00 and free shipping on their website, and worth every penny. So jealous of those people who have rite aids and therefore easy access to this brand! Hi Amanda, what do you use for thinner?